BT - light at the end of the fibre? 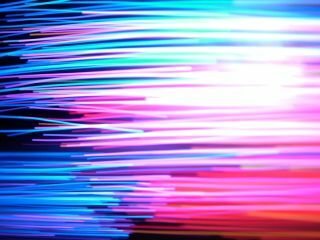 BT's Chief Executive Ian Livingstone has once more highlighted the company's investment in the UK's fibre optic networks, as the company posted its quarterly results. With revenue down by 4 per cent, but costs and debt also falling, BT predicted that it would be posting earnings (before interest, taxes, depreciation and amortization of course) of £5.7 billion for the year. But it is the fibre optic roll out that BT seems to be most focused on at the moment, with Livingstone picking out the infrastructure in his response to the report. "These results show that we are making progress," said Livingstone. "There is still a lot more to be done but our commitment to improved customer service and cost transformation is starting to deliver results and freeing up resources to invest in our future. "In particular, we are one of Europe's largest investors in super-fast fibre-based broadband and this will bring huge benefits to our customers and the UK."